Written on 12/06/2018 . Posted in Press Releases. 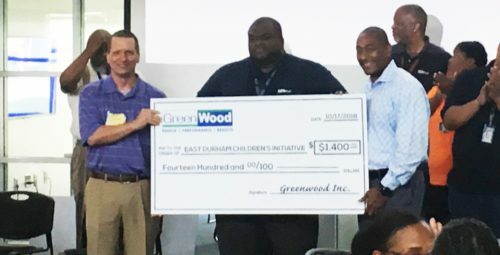 GreenWood leadership recently presented a special project team donation check to EDCI (East Durham Children’s Initiative) in Durham, North Carolina. 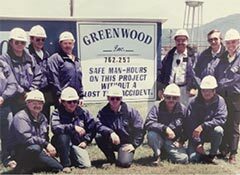 The gesture was a collaborative effort between GreenWood’s project site employees and company leadership personnel who all contributed to this non-profit group. 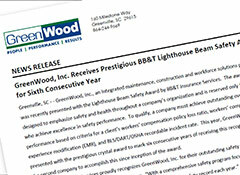 GreenWood’s leadership members matched the site employees’ contribution to benefit EDCI. 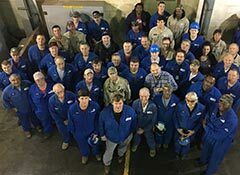 More than 40 partner organizations and hundreds of community members work collaboratively toward the goal of helping EDCI kids graduate from high school and be prepared for college or careers through early childhood interventions, parent and family support, after school and summer programs, health and nutrition services, and community outreach. 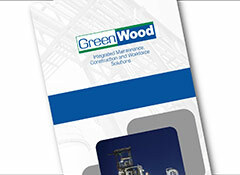 GreenWood is pleased to participate in this worthy program as a financial support contributor.